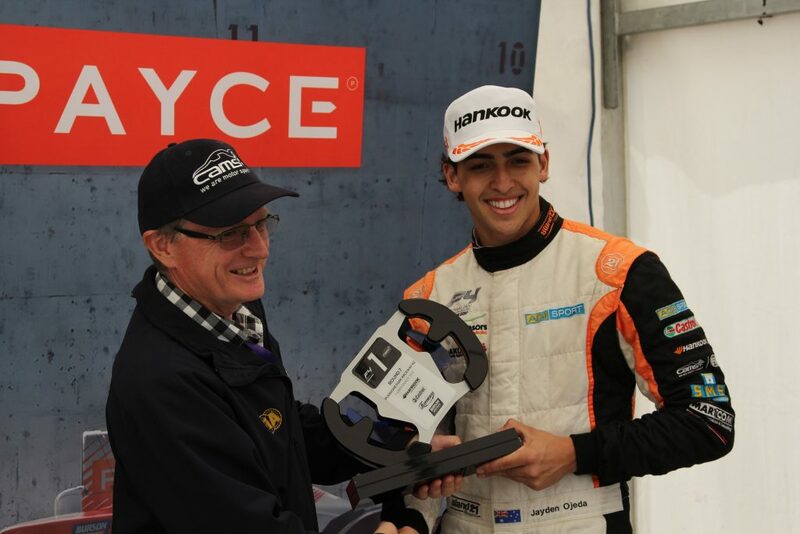 Jayden Ojeda has wrapped up the 2018 CAMS PAYCE Australian Formula 4 Championship with one race to go at the final round in New Zealand. “Yeah – it’s a good feeling – still hasn’t sunk in yet – it’s hard to take in right now but I think it will set in as I think about it,” Jayden said after the race. Ojeda came from fourth place in a disaster ridden reverse grid race two to finish 1-2 with team mate Ryan Suhle and wrest the championship from his grasp. Heavy rain overnight had left the track a little wet in places and both Jayden and Ryan were lucky to escape the first lap unscathed. “There was a bit of carnage at the start, it was a little crazy, ended up run off the road with a little dirt on the tyres but I was happy with that,” Ryan said. 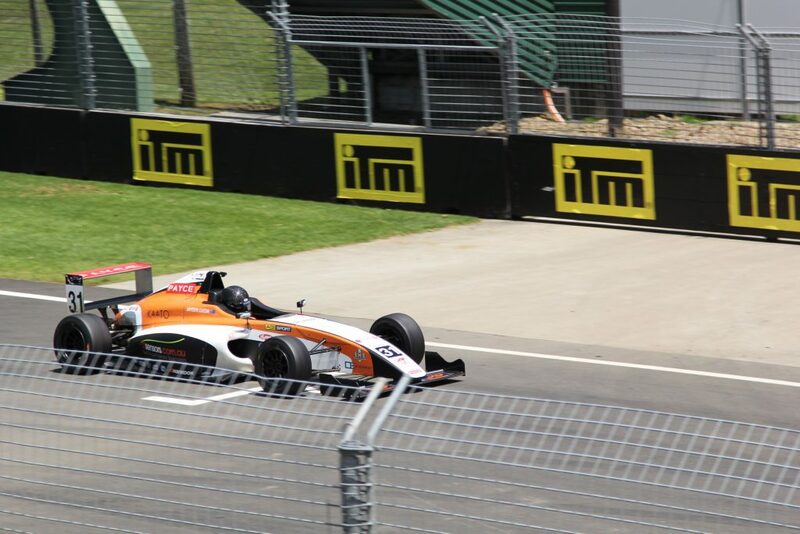 Ojeda has been dominant throughout the season with numerous clean sweep race weekends but even he had to contend with some tricky slides through the first sector as he made his way to the lead from P4. “There were a few people into a little bit of water so the cars were going all over the place. 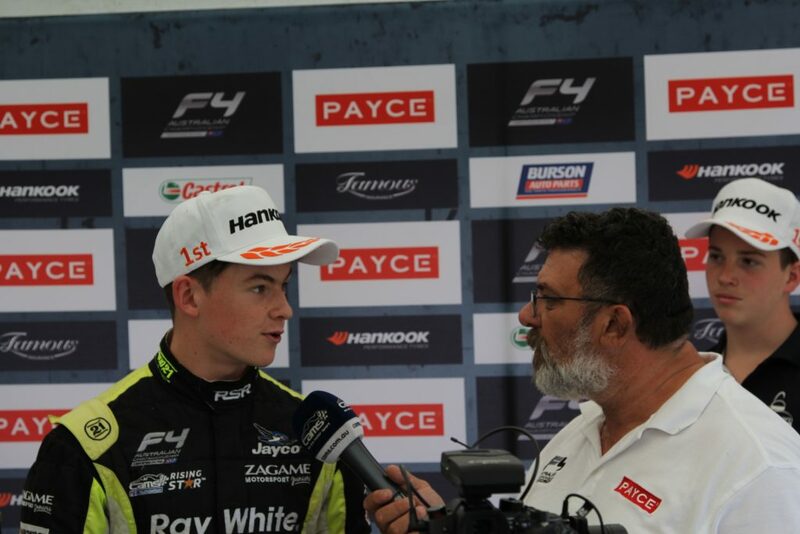 All I was thinking about was just making sure I didn’t collect someone or get collected, a few times I saw cars coming close but we got through it all and it just came down to qualifying laps between Ryan and myself to keep the gap,” Jayden said. Teammate Ryan Suhle was right behind him as they made their way past front runner and 2018 Rookie of the Year Lochie Hughes. 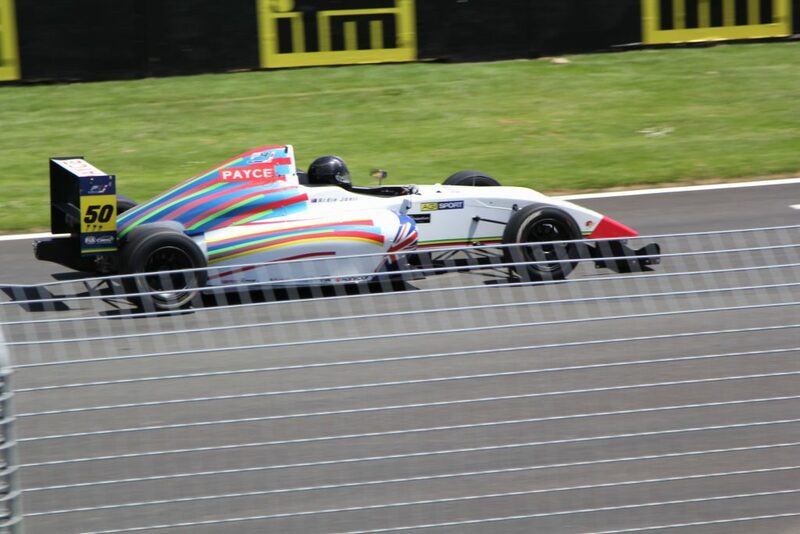 “Got a run onto the back straight, I lined him up in the slipstream and I was watching my lights and getting all the shifts right,” Ryan said. “I had to get past Lochie as quickly as possible because you don’t want to end up at the end of the race thinking what if… could I have caught Jayden? It gave me an opportunity to try and chase down Jayden but unfortunately just couldn’t do it,” Ryan said. AGI Sport team mate Ardie Jonic was also happy to make it through the race with no damage. “I got a pretty bad start in the second race, the pack went a bit crazy at the start and there were a couple of people off the track, a couple locked up but I made my way through pretty successfully and I was really happy with how it went, stamina hasn’t been a problem and I’m happy with the weekend overall,” Ardie said. 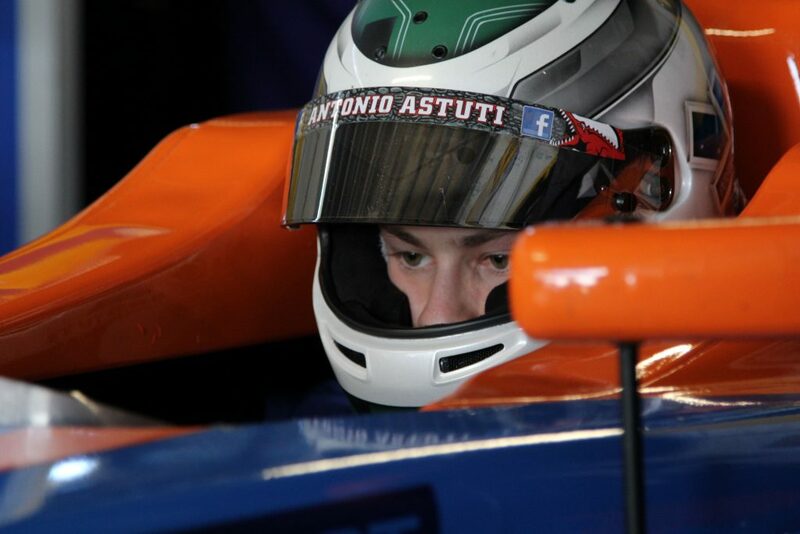 Antonio Astuti from Astuti Motorsport joined the AGI Sport garage for the final New Zealand round after a diary clash meant his father couldn’t run the car. “Stayed out of trouble somehow – that race was full of carnage but kept our nose clean and the car came out of it alright,” Antonio said. 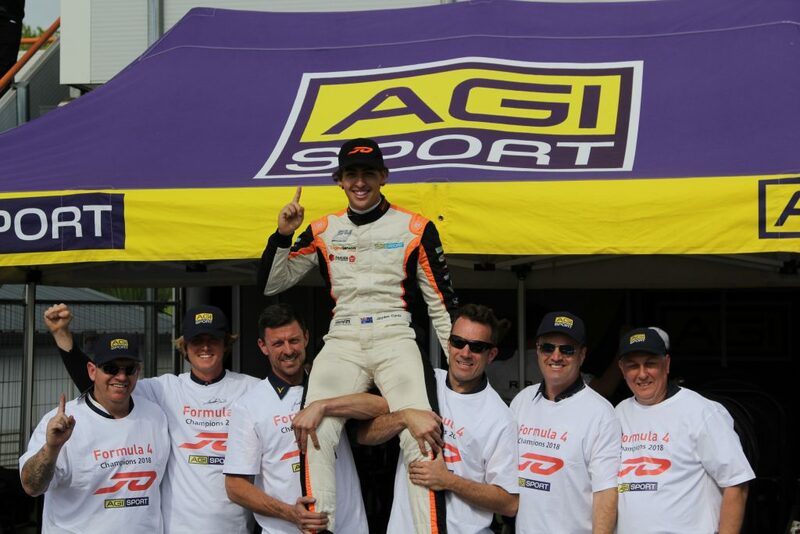 With the championship sewn up Ojeda could relax for the final Sunday race, he managed a great start to get out the front and hold off team mate Ryan Suhle for yet another AGI Sport 1-2 finish. Thoughts are already turning to what comes next for Ryan and Jayden in their motorsport careers. “I’ll do the Bathurst 12 hour at the start of the year and then if we enjoy that we will figure out what to do for the rest of the year,” Ryan said. “For next year we are still not sure, we get a few tests days for winning the championship so we will see if anything comes of that. It will come down to budget obviously so we will see what doors we can open and what opportunities we can create,” Jayden said. 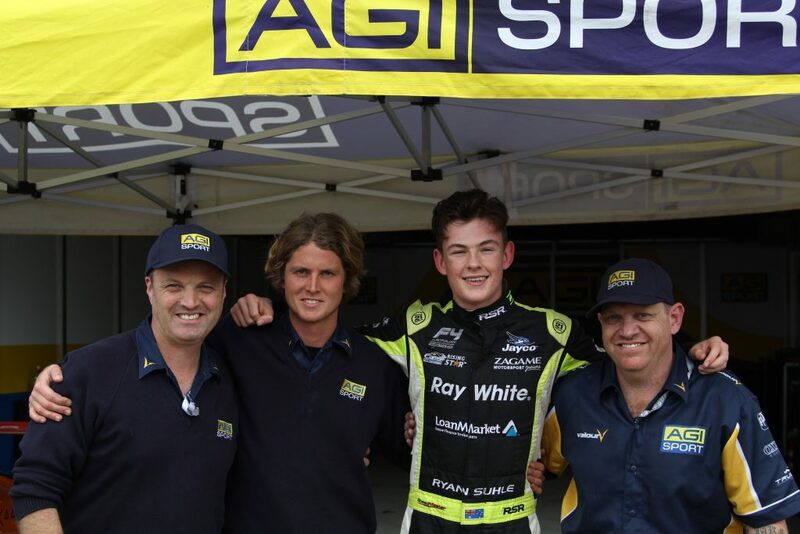 The AGI Sport team and drivers will celebrate Sunday night at the end of year awards dinner in Auckland and then enjoy a well deserved rest before deciding what’s next in 2019. 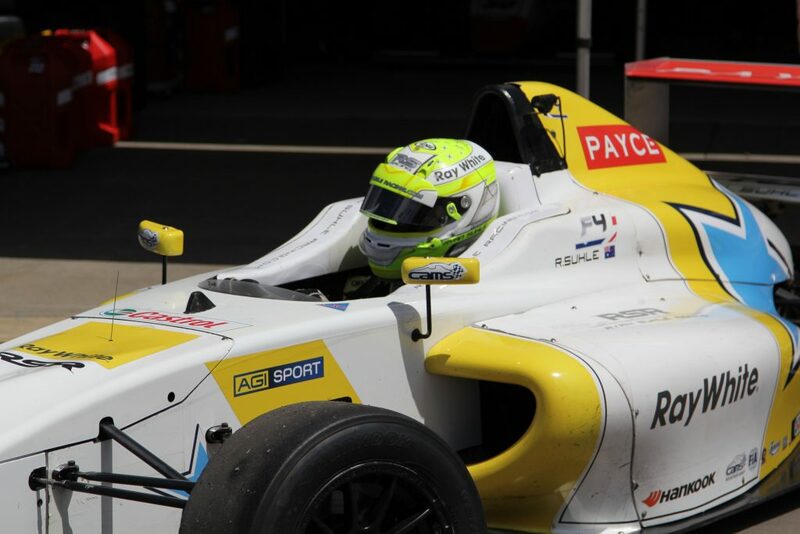 PRESS RELEASE – Ojeda, Suhle 1-2 in the championship after double header Winton weekend.